Discover your passion. Find your career. Our website is a resource for you - important dates, information about your classes and instructors, forms and handbooks and much more! 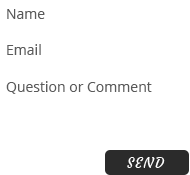 Look around, if there's something you can't find, please let us know by clicking on "Quick Connect" at the bottom of any page and completing the form. We'll get back to you within 48 hours. If you have an immediate need, please give us a call at 440-526-5200. Cuyahoga Valley Career Center prepares youth and adults to enter, compete, advance, and lead in an ever changing world of work, college, and careers. Class fees and Parking Permits can be paid online. Click here for more information.